Treehouse Nursery School in Wanstead was established in 1991, we have dedicated staff care for all children and are committed to fostering the individual needs and talents of every child. We have over 400 children throughout two nurseries and one after school club with 116 dedicated staff. We cater for babies from three months to five years old and operate a before and after school facility. Treehouse Nursery School’s Managing Director Maria Sanchez one of the finalist at the 15th National NMT nursery awards for 2017 for the lifetime achievement award. The Lifetime Achievement Award recognizes the person who has dedicated a significant portion of their life to creating an outstanding service for children in their early years and who has provided leadership and inspiration to others. The nursery is also delighted to have been finalist in the top five childcare businesses across the UK in 2018 and we are an Investors in People and NCFE/CACHE accredited company. Treehouse nursery school is committed to the inclusion of all children by providing them with access to a full range of activities. All children have a right to be cared for and educated to develop their full potential alongside each other. We provide a positive welcoming environment where children are supported to achieve the best they can according to their individual needs. We believe that all children have the right to experience and develop alongside their peers no matter what their individual needs are. Treehouse Nursery Schools- Cambridge Park provides care and learning for up to 120 children. The setting is running from two buildings separated by a small courtyard garden. The setting has 6 rooms, 2 of which are situated on the first floor and a large soft play/climbing area. The toddler room and the two pre-school rooms have child friendly toilets. 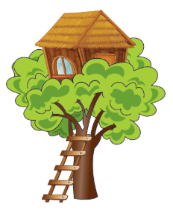 We access the large garden with an aviary which contains a number of canaries and 2 rabbits and the sensory room in our other nursery Treehouse Nursery Schools- Woodbine Place. Furniture is arranged to accommodate children with mobility difficulties. There is access to adjustable height furniture and/or access is made possible by using floor level activities. Pasageways are kept clear at all times to follow health and safety regulations and facilitate children’s mobility. We believe in early identification of difficulties and in appropriate intervention to support children’s progress, learning and development. The parents and carers are encouraged to share information regarding their children from the moment the child starts the settling into the setting. Through ongoing observations, tracking, discussion with the other staff members and parents/carers we will be able to identify at an early stage the children that have difficulty with their learning and development. Our SENCo will be the first point of contact and she will carry out in depth observations, will meet with the child’s key person and with the child’s parents /carers if needed to discuss child’s progress and plan for different strategies to be put in place. If the child doesn’t show progress despite all our efforts we will ask the parent’s and carer’s consent to contact the outside agencies. We have a very strong partnership with all the local agencies such as: Local Authority Inclusion/SEN Advisor or SEN Coordinator; SEND Early Years Panel Educational Psychologist; Speech and Language Therapist; CAF Team and others. These agencies will provide more strategies that we and the child’s family can put in place to support the children ho have additional needs in a particular area of development or when needed to help with the child’s transition to the other settings/school. The setting’s manager Mioara Bunduc is the overall ‘responsible person’ for SEN in the setting and she is responsible for ensuring that legislation is met.The Special Educational Needs Coordinator (SENCO) has the responsibility for the day-to-day management of the SEN procedures. How will the setting involve me as a parent and my child in meeting our SEND needs and in general school life? To support our children with children’s speech and language and social communication development we use Makaton signing, visual time table, PECS and objects of reference. How will the setting know how well my child is doing and how will they inform me about this? The child’s key person will keep a detailed learning journey of the child’s day to day learning experiences. This will be shared with parents. From the detailed observations that the journey contains the key person will plan differentiated learning experiences to meet children’s needs and allow full access to the learning curriculum. The Two Year Progress Check, is also compiled when the child is two years. 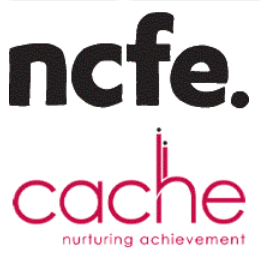 This assessment covers the child’s attainment and progress in the Prime Areas of the EYFS (e.g. Personal, Social and Emotional Development; Communication and Language; Physical Development). Our Senco attended the SEN modular training and the information from the training was cascaded down to our staff members. All resources are located at children’s level in labelled baskets. How will the setting ensure that my child will be included in all activities? Our activities are planned around our children’s specific needs. Key persons will adapt, change activities and resources to support children’s care and learning needs. Where additional support is required we will work with parents and the local authority to find the best support. How will the setting support my child to change classes and/or move on to a new setting/school when they reach the appropriate stage(s)? We have a highly effect transition policy where any changes are discussed with parents and when possible children. Staffs in our preschool rooms build an effective working relationship with the schools our children attend. Children undergo a gradual transition from room to room and from Key person to Key person. The transition process starts two weeks before the child is due to move to a new room. School visits and transition meetings with the receiving school are organised at the beginning of the summer term to get the child accustomed to the new environment. What support and training within the setting is available to parents and carers?